A standing table is an adjustable desk that allows you to switch between standing and sitting while you work. 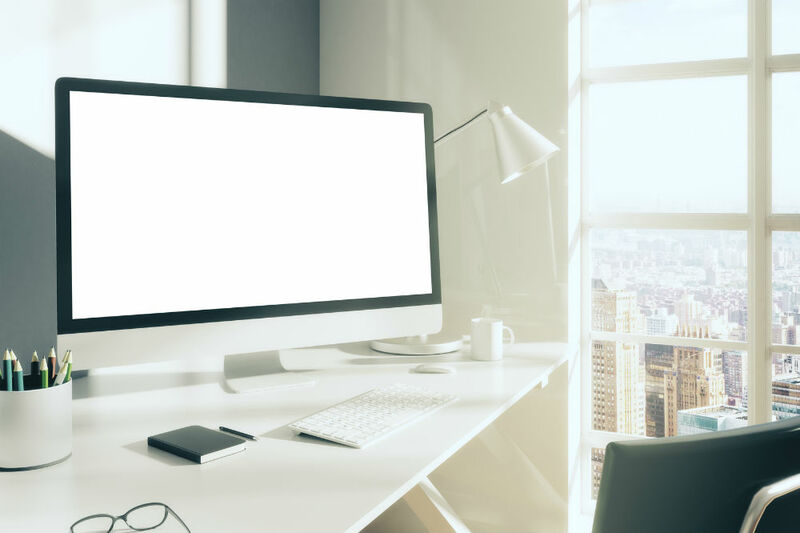 Also known as sit-stand or height-adjustable desks, these innovative new products can partially negate the risks involved with too much sitting. Standing desks are gaining popularity in recent times because of the alleged benefits associated with them. These tall working surfaces were used as early as the 18th to 19th century and were the desk of choice for geniuses such as Leonardo da Vinci and Winston Churchill. Although research is still new on this topic, these desks show great promise for improved concentration, health, and more. 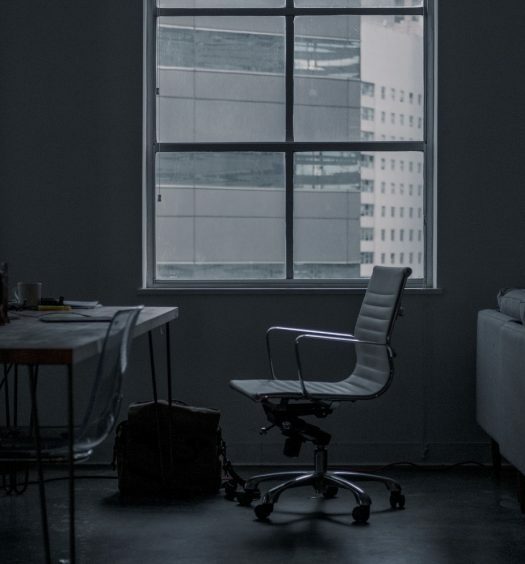 Experts say that sitting for long hours has degrading effects on your health. Sitting simply doesn’t allow your body to burn as many calories as you do while standing. But what else does it put you at risk for? A Potentially Earlier Death: When a person is in a chair for long hours, physical activity is severely limited. This stationary position makes the energy-burning process slower, as mentioned. But prolonged sitting is also associated with early death, according to this study. Diabetes and Heart Disease: Among the chronic diseases caused by prolonged sitting are diabetes, heart disease, and cancer. These illnesses come to the surface because the body is not able to rid itself of the excess fat, cholesterol, toxins, and sugars that are detrimental to the body’s vital organs. Sitting for long periods without reducing the number of calories you eat can lead to insulin resistance. Obesity: Most people know that when you burn fewer calories, it’s harder to manage your weight. So it’s no surprise that sedentary lifestyles are linked with obesity. Research has shown that, on average, obese people spend two hours longer sitting per day than thinner people. You might think that since you hit the gym a few times a week, you’re safe from the health risks of prolonged sitting. But although exercising regularly is important, it won’t completely get rid of the health risks from too much sitting. A review of nearly 50 studies found that a habit of sitting is undeniably linked to health risks, despite the exercise habits of participants. Before choosing to work at a standing desk, you must first consider whether it will allow you to function more optimally. The health benefits outweigh the price of the product, of course, but what about work efficiency and endurance? Let’s take a look at some of the health benefits associated with standing more often. What are the Health Benefits of Getting a Standing Desk? Now that we’ve covered some of the negative impacts associated with prolonged sitting, it’s time to look at the benefits of standing more often. The primary benefit of a standing desk is its impact on health and energy levels. In one scientific study, 87 percent of participants who switched to standing desks reported more energy and vitality during their day. Standing helps optimize oxygen flow in your body, which results in a better-functioning brain. However, improper use of the desk can be detrimental to your well-being. If you don’t allocate time correctly between standing and sitting, there may be more damages than benefits. Why is Standing Too Long Dangerous? Just as sitting down for long periods can harm you, so can standing up for too long. Apart from exhaustion, standing for hours may make you develop back problems and heighten the risk of carotid arteries, deep vein thrombosis, and other cardiovascular problems. While standing, the body has to work harder, which minimizes blood flow to the heart. Sitting and standing, therefore, should be done in alternately and in moderation. Health experts believe that there should be an adequate balance in stationary and active activities. A person should not remain in the same position all day. Experts advise that people should stand and walk in intervals. The right proportions for sitting and standing are explained by the 20-8-2 rule. This is a rule that states that each person should have 20 minutes of sitting, eight minutes of standing and two minutes of walking or stretching. In an eight-hour workday, the total should be five hours sitting, three hours standing, and a bit of walking around. As a general rule, standing should not exceed four hours in an eight-hour workday. An adjustable work desk is the best way to ensure that both standing and sitting can be done at the workstation. Integrating more movement during working hours can greatly enhance your overall health and well-being to a noticeable degree, quite quickly. Finding the equilibrium with sitting and standing is the best solution to having a healthy body as well as a more efficient work method. But there are types of work that are better done while sitting down even if standing up improves brain power and ability to focus. In general, activities that need highly focused attention would be best done sitting down. Activities that require collaboration and energy, like taking phone calls or holding meetings, should be done while standing up. Everyone is different, so preferences on proper desk height will also vary. To determine the proper desk height, ensure that the top of the table reaches at least to your elbows. The right position for working will depend on what is comfortable and ergonomically sound. You must not slouch, slump or strain your back when using the computer or when writing. Feel free to experiment until you find the right height for you. Before using a standing desk, you must know the proper posture to use while working at it. The proper posture is achieved by squeezing the gluteus muscles together without tucking the pelvis too far in or too far behind. What else should you pay attention to when standing at work? Notice Your Abs and Shoulders: The muscles in the stomach must also be tight but not so much that it strains the abdominal muscles. Shoulders should be rolled back naturally. This is similar to a healthy sitting posture. Limit Restrictive Clothing: You should wear comfortable clothing and shoes to work. Make sure that what you wear allows free mobility of the arms and legs. Having a standing desk allows you to move more and encourages blood circulation. Restrictive clothing such as girdles, corsets, high heels or tight shoes will stop blood circulation and potentially cause muscle pain in the legs and calves. Make Space in Your Work Area: As mentioned earlier, there should always be the right balance between sitting, standing, and walking in your workday. For this to be possible, your workspace must provide enough room for all three activities. Clear out the clutter in your office to ensure that you can stretch out and walk around freely when needed. Monitor Height: The height of your computer screen is of essential importance for proper sitting and standing postures. Your desk should be tall enough to put you at eye level of the computer monitor. A table with a rounded edge will prevent your wrists from aching. The monitor should be directly in front of you and be about an arm’s length away. Using a Standing Desk with Glasses: If you wear glasses, the monitor should be an arm’s length away, plus an additional two inches. Ideally, your source of light should be at the side and not above the monitor. Using Two Monitors: If you use two monitors, the unit that is used more often should be in front of you by default. The two monitors should be placed side by side to each other with the edges touching so your line of vision doesn’t have to stretch so much. Using Your Keyboard: The keyboard and mouse should be close to you and your elbows should be close to your body. If your elbows are too stretched out, then your arms, wrists, and elbows will be strained and lead to discomfort. You should also consider using keyboard shortcuts more often than the mouse, as using a mouse in this posture could strain your wrist over time. Avoiding Awkward Postures: Other key tools like your telephone, notebook, tablet, or printed materials should also be placed close by so that excessive stretching is avoided. Cradling the phone on your shoulder is a bad work posture, as is staring down at a smart device or tablet, which strains the spine. The best way to use a phone is on speaker or through a headset if you’re writing or computing at the same time. Current studies are constantly discovering that standing is healthier than sitting. Standing encourages motion, improving your circulation. One of the largest chunks of time spent sitting is throughout the usual eight-hour work shift. You may use a standing desk to avoid sitting most of the time and take note of how high your standing desk should be to avoid hunching. Appropriate standing posture requires the same factors as that of a correct seated position; it requires that screens be at eye level and keyboards placed to allow a moderate downward, loose bend in the user’s elbow. While the adjustability offered by a standing desk is amazing, often times the total height is still below eye level for some users. For excellent back health, it’s imperative that people who opt for an ergonomic standing desk choose one that allows them to stand in the right posture. Meaning, the back should be straight with no forward lean. Take note that just because you’re standing, it doesn’t mean that you have improved your posture. We’ve discussed the importance of switching between standing, sitting, and walking regularly throughout the day. But for this to work, you need to choose a standing desk that you can adjust easily as needed. Apart from being able to elevate materials so everything will be at an eye level, it’s essential to understand how regularly you’ll be standing and sitting during the day. If you’re searching for a sit/stand desk that allows you to simply shift from sitting to standing position during your usual work shift, pay attention to how it adjusts. Simplicity and flexibility of the adjustment mechanism are key to releasing yourself from a seated position without needing to break your focus. Some people might have resistance or hesitation toward the idea of using a standing desk but are forced to because of an existing health condition. This kind of worker can start with a desktop attachment. The product tends to be more affordable, so it’s less risk, especially if the user is still exploring or just testing the waters. These attachments are great for people who cannot stand for long periods. These attachments can be purchased and used by people who do not have space or capital to purchase a full standing desk. But note that depending on which type you choose, these attachments may be difficult to adjust. Some people work primarily on laptops or are constantly working in new places. And while typing for hours on a laptop is seldom the suggested ergonomic position, sometimes mobile workers have very few options on their equipment as portability and proficiency is a top priority for them. A mobile laptop stand is a possible solution to this problem and may even be essential for every mobile worker. The mobile laptop stand should weigh less than the laptop itself and must be adjustable in height so it can hold the laptop screen at eye level. It should rotate the angle as well to lessen screen glare and eye fatigue. Usually, sit/stand desks are large fixed objects devised for a stationary office. But using an adjustable laptop stand able to hold the laptop in a position for standing is more advantageous for mobile workers. Recommended laptop stands have a height of twelve to twenty-four inches and they can change any set-height table to an adjustable-height laptop standing desk. This allows you to acquire the health advantages of standing while working anywhere you are. Using a standing desk doesn’t only entail choosing the right table. 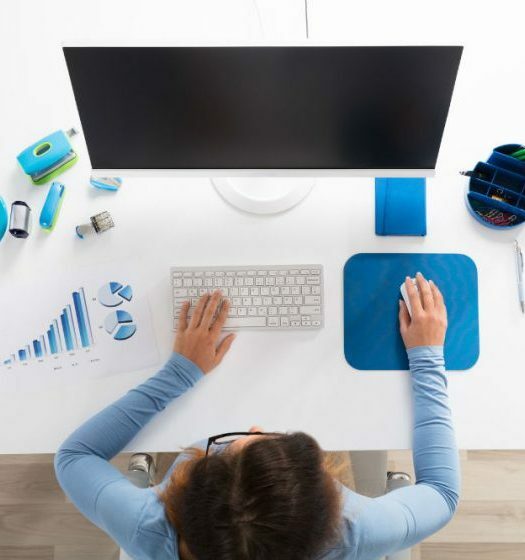 Having the right tools and placing your gadgets in the right positions will help a lot in making your working posture healthier, plus you’ll burn more calories in the process. You must observe the proper time for standing and sitting to lessen the risk of fatigue or muscle strain when using a standing desk. The desk should be adjustable and the height should be appropriate for use both standing or sitting down. Sitting for hours every day without standing or stretching is a very tiresome habit. Switching to a standing desk can enable you to maintain a healthy lifestyle and enhance your well-being. If you choose to make the change to an adjustable standing desk, you will find that taking your time to stand up while working offers a new, refreshing feeling.